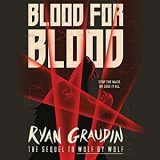 Blood for Blood by Ryan Graudin is the follow-up sequel to the novel Wolf by Wolf. 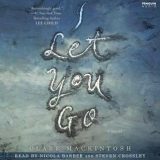 I once again chose to listen to the audio version narrated by Christa Lewis. 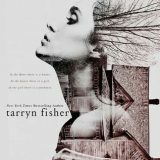 This historical alternate fantasy grabbed me from the beginning, tore my heart out and had me gripping the cord to my headphones. 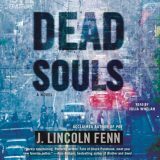 Dead Souls was twisted, an addictive tale that will have you avoiding strangers. The author has a flair for unfolding a story and pulls the reader in from the very first page. Add the smooth narrations of Julia Whelan, and you are in for one heck of a ride. So the devil walks into a bar sit down next to you and says….. 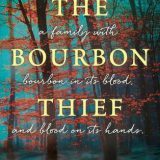 The Bourbon Thief by Tiffany Reisz is a southern gothic tale that spans generations and shares the mysterious closing of the Maddox family’s Red Thread Bourbon distillery that began during the Civil War and lasted generations until its doors were closed for unknown reasons. Suspenseful and captivating we learn the Maddox family’s darkest secrets. 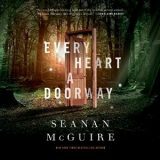 Every Heart a Doorway by Seanan McGuire is the first in her new series by the same name. I chose to listen to the audiobook narrated by Cynthia Hopkins and was rewarded as we entered Eleanor West’s Home for Wayward Children. Quirky and original this short audio delivered all that I love about McGuire’s storytelling. 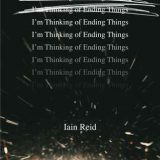 I’m Thinking of Ending Things by Iain Reid is a unique psychological thriller that will either blow your mind or leaving you scratching your head. It draws you in, sets you on edge and despite moments of utter boredom you cannot seem to set it down.